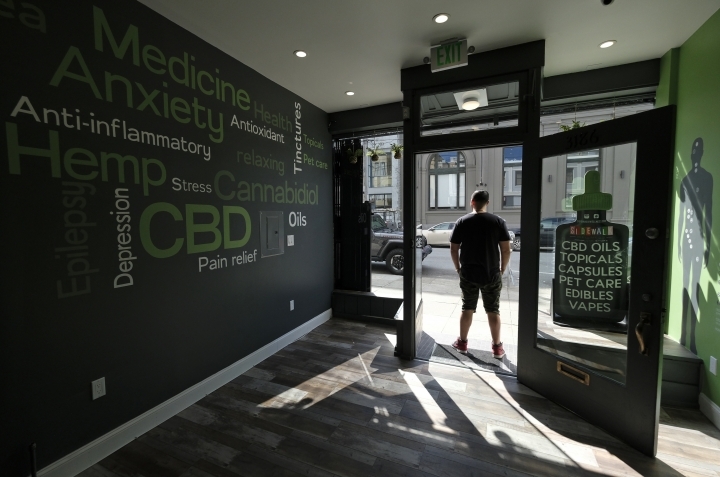 SAN FRANCISCO — CBD oil-infused gummy bears, lattes and other food, drinks and dietary supplements are selling quickly even though the U.S. government says they're illegal and local authorities have forced some retailers to pull products. The confusion has the nation's two largest states and others moving to legalize the cannabis compound that many see as beneficial to their health. Lawmakers in Texas and California are often in opposition, but they're both pushing bipartisan legislation to sidestep federal law and allow sales of the compound found in hemp and marijuana. Republicans and Democrats in Congress also are urging the U.S. Food and Drug Administration to change its stance. The FDA announced Tuesday that it will hold a public hearing in May to gather more information. Resolving the confusion can't come quick enough for Jonathan Eppers, who makes Vybes, a popular CBD oil-infused beverage. California health inspectors raided his Los Angeles warehouse in January and impounded $100,000 worth of the drink. Eppers said about 50 California retailers have since dropped his product and he's moved production to Texas. He estimates lost sales, legal costs and relocation expenses have cost him at least $500,000. "What is going on is unbelievable and asinine," Eppers said. "They put us in this state of limbo that's costing us." Eppers and CBD fans are mystified by the legal insecurity. After all, they say, retailers in California and nine other states that have broadly legalized marijuana sell edibles and other products that get people high, though pot is illegal under federal law. U.S. officials generally have taken a hands-off approach in states where pot is legal. The FDA has oversight of CBD because it is the active ingredient in an approved prescription drug to treat two rare seizure disorders. The agency says CBD can't be added to food or sold as a dietary supplement because officials haven't determined if it's safe or effective for other conditions. FDA Commissioner Scott Gottlieb told Congress last week that enforcement is being limited to sellers who make false health claims. He says the agency recently sent warning letters to three companies touting CBD as a treatment for cancer, Alzheimer's disease, fibromyalgia and drug addiction. "But there are products on the market right now that, given our enforcement priorities and our limited resources, we haven't taken action against," he said. Short for cannabidiol, CBD is a non-intoxicating molecule found in hemp and marijuana. Both are cannabis plants, but only marijuana has enough of the compound THC to get users high. CBD oil is extracted when the plant is processed. While hemp derivatives are essentially THC-free, CBD oil from marijuana may have very little or enough to produce a high. Sellers and users say CBD helps with pain, anxiety and inflammation, though limited scientific research supports those claims. It's turning up in products ranging from lotions, cosmetics and soap to diet pills, juices, cocktails, candy and drinks. State and local officials are taking nearly all the enforcement actions against CBD. 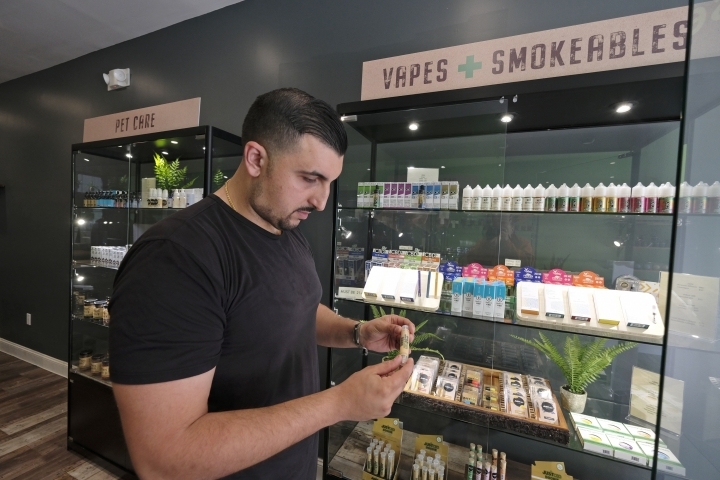 Health officials in California, which has the nation's largest legal marijuana marketplace, warned retailers last summer that anything edible containing CBD is illegal until lawmakers or regulators say otherwise. The warning was largely ignored until earlier this year, when state and local health officials began forcing some small businesses to pull products after receiving complaints. San Francisco health officials recently barred two small operators from selling CBD-infused food and drink, while authorities in rural Grass Valley, 140 miles (308 kilometers) away, did the same to a small, cooperatively owned grocery store. 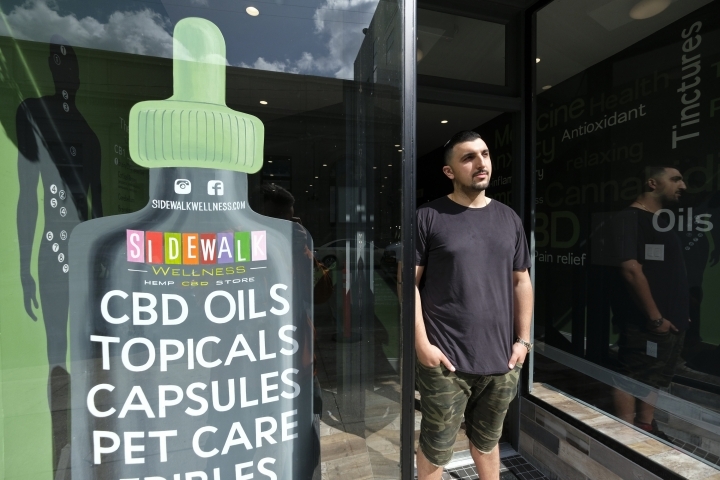 "It caught us way off guard," said Gus Dabais, owner of Sidewalk Wellness, one of the stores targeted. The San Francisco Health Department sent warning letters to 1,900 businesses last year, spokeswoman Veronica Vien said. She said inspectors are not looking for CBD but responding to complaints. She said that's how they ended up "red tagging" products at Dabais' business and Steap Tea Bar, a popular Chinatown stop that sold CBD-infused bubble tea. Similar scenarios are playing out in Ohio, where authorities in January ordered a Cincinnati grocery store to remove CBD from two outlets. The following month, New York City health inspectors removed CBD products from a number of restaurants. Police in March raided two Fort Worth, Texas, retailers and seized CBD products after the local district attorney declared the compound illegal. In Texas, one of a handful of states that outlaws all forms of marijuana, lawmakers are pushing a measure that would legalize hemp oil-infused edibles. It sailed through its first committee in the House this week. In California, a similar CBD measure has moved on to the full Assembly. "A number of people have been using it for years, and you can find it on retail shelves all over the place, but now people are surprised to find it's against the law," said Assemblywoman Cecilia Aguiar-Curry, a Napa-area Democrat who introduced the measure. "What this bill will do is clear up the confusion." She said the legislation would stop state and local enforcement of the FDA's ban and hopes it becomes law by August. "This would lift a legal cloud from a legitimate California business," said Jim Gross of the U.S. Hemp Roundtable, an industry association. A growing number of federal lawmakers, including Senate Majority Leader Mitch McConnell and Democratic Sen. Ron Wyden of Oregon, are urging the FDA to approve CBD. They backed a measure taking hemp off the U.S. government's list of banned substances. "Hemp is a versatile crop with many uses and applications," McConnell and Wyden wrote to the FDA in February. "We are hopeful that by working with you on the implementation of our legislation, we can help ensure that hemp can be a new cash crop for farmers across the country."